Choosing the best headphones that fit your needs can often turn out to be a complicated task. 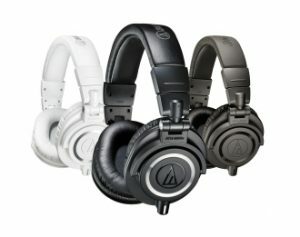 The needs vary from user to user and that’s why it’s almost impossible to recommend just one pair of headphones, no matter if we’re talking about the most expensive category that includes professional studio equipment, or simple low-quality headphones which can be bought almost anywhere for less than $10. In this list, we will thoroughly analyze various parameters and look for the most appealing offers in the market, in order to help you choose the best pair of headphones under $500 in 2019. Initially used by professional musicians and performers on stage and by security personnel, in-ear headphones are among the most widely used today, thanks to the rising popularity of iPods and smart phones, which undoubtedly favor listening to music while on the go. 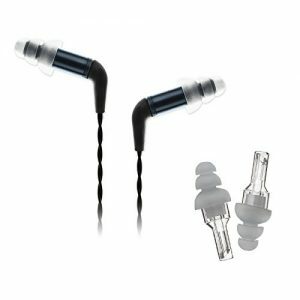 The in-ear headphones easily fit into the ear canal and do not require additional support. Obviously, the size of the drivers used to convert the electric signal to sound is rather small and usually does not exceed 10 millimeters. In-ear headphones can be easily attached to your belt, or safely packed in your pocket, which is why they’re widely used by travelers and digital nomads. In addition, their small size guarantees great comfort and mobility, although their audio quality can never match the sound of the on-ear and over-ear headphones. These headphones usually have soft and comfortable ear pads and, of course, their size is far greater than those of the in-ear headphones. These ear pads are supported by a head band, offering the right compromise between audio quality and comfort. On-ear headphones also mount quite large drivers, usually between 30 and 40 millimeters, however, their structure doesn’t provide adequate isolation from external noise and these headphones will often prove unusable in particularly crowded places. Also known as circumaural, over-ear headphones are the largest and probably the most comfortable type in the market. These headphones are made of large pads that completely surround the ears of the listener, providing greater comfort, higher sound quality and better isolation. The rather large dimensions of these ear pads also favor the use of large drivers, which exceed 45 millimeters, but this is exactly why over-ear headphones are rather cumbersome and are mainly used at home, in the office or in the studio. On the other hand, their structure ensures excellent isolation from external noise and high comfort even after several hours of use. The headphones may have an open, or alternatively closed structure. In the first case, the back of the headphones allows the sound to leak outward, helping to create a more natural feeling closer to the listening experience offered by large speakers. This solution usually doesn’t guarantee good acoustic isolation and the bass is often too flat. On the other hand, the closed headphones isolate the user from the outside world, greatly limiting the sound dispersion and this why they’re ideal for recording sessions in the studio, and in particularly noisy environments. However, the closed back headphones sound seems less natural for this same reason. As mentioned earlier, drivers convert the electrical signal into audible sound for the human ear. Manufacturers use different types of drivers: dynamic, balanced, planar magnetic and electrostatic drivers. Each of them is distinguished by particular technical features that help to make the sound more limpid, or even offer louder volume levels than others. Dynamic drivers are among the most popular and are used in all types of headphones, while balanced drivers are mainly used in in-ear earphones because of their small size. 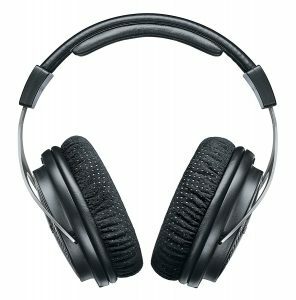 Magnetic drivers and electrostatic drivers are mostly used in over-the-ear headphones which can support their dimensions. Generally, a large driver will be able to offer a better sound output than a small one, but there are some additional parameters that you should consider when choosing the best headphones for yourself. The frequency response denotes the entire range of sound frequencies that headphones can reproduce. Basically, the sound is a vibration that flows through air and other elements and materials, such as water or metal. Each of these sound vibrations is characterized by a certain frequency measured in Hertz. The human ear is able to perceive frequencies ranging from 20 Hz to 20,000 Hz, so most headphones try to stick to this range, although some of them aim to expand it in order to offer better sound reproduction. Sensitivity indicates the acoustic pressure expressed by the headphones in relation to the applied voltage. It’s measured in Decibel (dB) and it doesn’t directly affect the headphones sound quality, but it determines the highest level of reproducible sound. In other words, the higher the value in dB – the higher the volume of sound without distortion. Good headphones should have a sensitivity equal to or above 85 dB, but obviously, a higher value will guarantee a better sound output at high volumes. The impedance indicates how much of the audio signal vibration can headphones take, and this value is measured in Ohms (Om). Low-impedance headphones employ a very small amount of resistance and can be easily used with smaller devices, such as smart phones, media players, and other portable devices. High-impedance headphones can be connected to more complex systems, such as Hi-Fi stereos and studio mixers, because they can support their powerful sound input. The headphones available on on the market are characterized by different impedance values: you can easily find models that have a minimum of 8 ohms, as well as those that reach up to 600 ohms. Active Noise Canceling Headphones are ideal for everyone who wants to isolate themselves from the surrounding environment, both for eliminating the background noise and for more immersive listening experience. 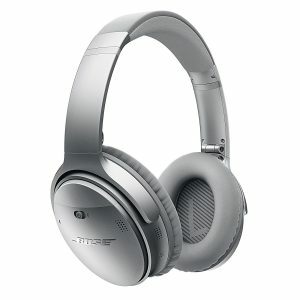 One of the best headphones from this category are the Bose QuietControl 30 earbuds. The package, which is very nice, contains the earbuds, the micro USB charging cable, and the rigid carrying case, which is essential for transport, but the unusual headphones collar that goes around your neck doesn’t fit in the case anyway. At first we were very doubtful about the collar, mainly wondering how comfortable would it be to wear it, but we were wrong; although it takes a bit to get used it, it’s actually very lightweight and ergonomic. It holds all the necessary electronics and battery and thus the headphones feel very light, because most of their weight is resting on the shoulders. The rubber pads are setting the standard for all the other companies on the market, because Bose QC 3- are definitely one of the most comfortable earbuds we’ve ever tried. They will stay in your ears under all circumstances and even during sports. The battery can support about 10 hours of playback, so you can do a couple of marathons without recharging them. Just be aware that a full charge takes about 3 hours. So, these headphones are well-built, practical and comfortable, but their most interesting feature is definitely the noise canceling ability. We tried them in different situations: in the open air, at the airport, while flying by plane and at home, and we have to admit that they always worked like a charm. It’s a really effective noise cancellation, favored by the fact that the in-ear headphones already provide solid sound isolation. Sometimes it can be too much and that’s why Bose has made it possible to vary the intensity according to your needs, and you can do it directly from the remote control or by using the Connect app. The Bose QC 30 sound like all the latest Bose headphones and earbuds. In particular, the lowest frequencies are the most present, but it’s also undeniable that they do have crystal highs and mediums, and give a warm, fulfilling sound after all. In the end, we think that the QuietControl 30 are excellent active noise cancellation earbuds. The audio quality is satisfactory, as well as the battery autonomy and simple, yet effective controls. However, some will find the collar very useful and comfortable, others will probably look for a more standard design. After trying dozens of Bluetooth headphones, the Bose SoundLink On-Ear headphones have proved to be much more comfortable than others, thanks to their extreme lightness and soft padding. Their Bluetooth connection with other compatible devices is flawless, sound quality is great, battery life is impressive and the ability to bend and close the headphones is always useful. As you can see, everything about the Bose SoundLink II has convinced us to put them at the top of our wireless on-ear headphones list. These are lightweight headphones (160g), but at the same time they’re impeccably built. Ergonomics are excellent, easy-to-stretch and well-padded, leaving us with the impression that these headphones are very durable and able to withstand almost anything. Thanks to a battery life of up to 15h of constant playback, they are perfect companions for wireless listening, both at home and while moving. They also have a very clever auto-shutdown system, which activates after 5 minutes of inactivity, even when paired with a device. Complete recharging takes about 3 hours, but in the first 15 minutes you already get 2 hours of battery life. We have to spare a moment to compliment the amazing ear pads. They’re not very large, but they can perfectly wrap your ears, thanks to the elongated shape and padding made of soft material. It should also be emphasized that the ear pads are replaceable, which definitely ensures that Bose Soundlink II headphones will be your good companion for many years to come. When it comes to controls, the simplicity does the trick; the volume and play / pause buttons are very convenient to operate with the thumb on the back of the left headphone, and the on / off button is mechanical, which is always better than digital in our opinion. Needless to say, these are not professional headphones, because like any other Bluetooth model they’re optimized for casual music listening. The Bose’s DSP improves the performance of songs by emphasizing or dampening different frequencies when needed. 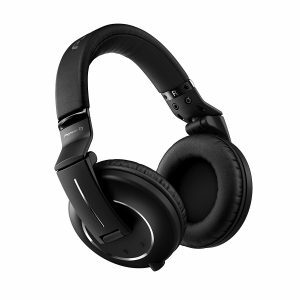 This confirms the fact that they are not designed for purists, but they always offer balanced and enjoyable listening. When the bass is exasperated, it’s automatically softened to avoid distortion, or reinforced when medium and high frequencies are dominant. This kind of “treatment” is performed across the audio spectrum with an optimum result that allows us to listen to all kinds of music at high volumes without ever getting tired. In short, the Bose Soundlink II offer a perfectly balanced mix between all frequencies for pure pleasure. These are really comfortable, easy-to-use headphones with long-lasting battery and a warm, rich sound that does not miss anything and is never out of control thanks to Bose’s famous DSP. So, if you’re looking for high-quality Bluetooth headphones and are willing to spend $220, go for the Bose SoundLink Around-Ear II and you will not regret it. There is a big difference between listening to music on standard iPhone ear buds and studio monitoring headphones, so if you’re getting ready for music production, you will definitely need a pair of professional headphones. AKG really gave us the definition of “professional studio equipment” with their new Pro Audio K712 reference headphones. 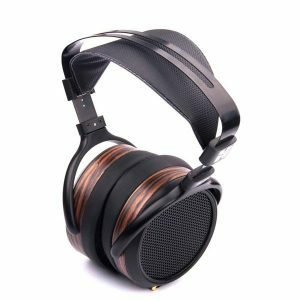 They’re popular and a bit expensive, but can they live up to AKG’s worldwide reputation? The design quality is excellent and the headphones are much lighter than you can imagine, weighing only 235 g which makes them suitable for long periods of use. The headband is made of high quality leather and other components are made of durable plastic. The package includes two cables and both have a mini-XLR connection for headphones, and a mini jack at the other end, plus adapter. 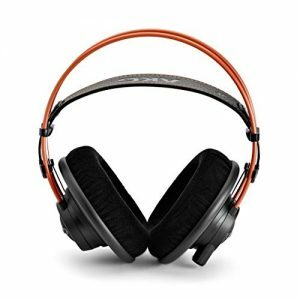 These are open-back headphones, which contributes to a much more natural and accurate sound reproduction, but on the downside, the leaking sound can be a problem during late night monitoring and mixing. The K712 Pro headphones use a flat wire coil and have a bandwidth of 10-39,800 Hz, a sensitivity of 105 dB SPL / V and a 62 ohm impedance. All of this means that they’re incredibly accurate, though not particularly powerful, even at full volume. But these headphones are spectacular when it comes to precision, with amazing clarity and frequency separation. While listening to some songs we were quite familiar with, we could hear things in the recordings we’ve never heard before; it’s like these details have been suddenly revealed by the K712 PRO, and that’s just an extraordinary feeling. That’s why we really trust these headphones when it comes to mixing and mastering: they give perfectly accurate sound without any coloring and distortion. In conclusion, these headphones are not for everyone, mainly because of their price and average sensitivity, but they’re easily the most accurate headphones we’ve used in a while. Every professional producer and sound engineer should own a pair, as they can provide a perfect representation of every single sound played through them, which is of the utmost importance for perfect mixing and mastering. Beyerdynamic has distinguished itself with Tesla drivers on some of its famous products. The technology involves the use of a very powerful magnet inside the driver, capable of reproducing a wide dynamic range with a clean sound and low percentage of harmonic distortion. Now the already successful company wanted to push things further by improving this technology, with 2.0 Tesla drivers for their professional headphones. Among these are the DT1770 Pro, a dynamic set of headphones which, in fact, represent the natural evolution of the whole series of Beyerdynamic models that earned respect on the global market. Yes, we’re talking about models that have made history and are still an integral part of many recording studios and radio-television broadcasting facilities – the famous DT770, DT880 and DT990. The DT1770 Pro is aesthetically related to these models, although it still enjoys all the improvements concerning drivers and materials used for their construction. The aluminum housing that holds the drivers guarantees minimal movement when the headset is worn. Adjustable bars which wrap the headband are robust and secure, the two-layer foam padding covering the top of the leather headband is comfortable and also quite solid. The DT1770 Pro headphones are of the closed dynamic type, with 250 ohms of impedance and mounting two 45 mm drivers that take advantage of the 2.0 level Tesla technology already used by previous models. It’s an amazing system that has further reduced the loss of magnetic flux, optimally improving the transfer of magnetic force to the coil. In conventional headphones, the neodymium magnet is used at the center of the system, and its size is naturally limited by the space inside the headphones. With the use of the Tesla 2.0 system, the magnet is mounted as a ring surrounding the coil and this allows to convey more energy to the membrane and the headphones driver. The DT1770 Pro weight is about 400 grams, although they feel lighter when worn. Their sensitivity is 102 dB and the frequency response ranges from 5 to 40000 Hertz. Headphones like these should be definitely used in the studio, as they’re very useful for tracking both battery life and low-end recording. They can be used for live instrument playing, or broadcasting, but they still require a high-fidelity amplifier to play properly. Nevertheless, if you want to equip your own studio with a widely respected professional pair of headphones, the Beyerdynamic DT1770 is worth the price and will most likely become your favorite. The Bose QuietComfort 35 is a perfect example of noise cancelling technology, thanks to its great ability to limit sounds from the outside world. These headphones proved to be great travel companions, especially in partnership with the iPhone 7, as we’re talking about a completely wireless product that can work without the 3.5 mm jack. The build materials are of high quality; the headband is covered with glass fiber reinforced nylon, while inside the cuff we find stainless steel, which secures the headphones from damage even after a long period of time. The ear pads are padded with silicone granules to increase the passive noise reduction. The housing is obviously closed for noise reduction, and on the surface there are several important features. On the right side is the power button, which also serves to pair the headphones with a Bluetooth device, in addition to the Micro USB jack and the music playback controls. The left side of housing has a 3.5mm jack input if you wish to connect the headphones manually. 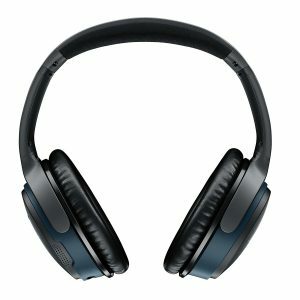 The Bose QC35 has been designed for mobility, which makes perfect sense since noise cancellation is a rather useless technology in the home environment. It’s obvious that Bose has focused on smart phones as the main source of sound, which is why you should use a dedicated headphones management app, available for Android and iOS. The pivot of listening experience obviously comes down to noise reduction, which is really great. Binding the QC35 is quite strange: once turned on you almost have a feeling of vacuum, although not all sounds are completely cut out; Bose’s technology focuses mainly on high and low frequencies and continuous sounds. The battery consumption autonomy gives about 40 hours while using the cable, and about 20 hours of playback without it. In both cases, we have to conclude that it’s an impressive battery life. The sound spectrum is reproduced in a fairly balanced way, without emphasizing high and low frequencies too much and leaving some space for the medium ones. Even at the maximum volume the sound never distorts, due to the real-time equalization, but you’ll hardly feel the need to bring these headphones to the limit, because the suppression of external noise allows perfect listening a medium volume. As for ergonomics, the synthetic leather is very soft and doesn’t bother the listener. Still, we do not recommend using the QC35 during sports, because the headphones tend to fall off easily; their grip on the head is light, which is a small compromise to ensure maximum comfort during everyday use. After all, these headphones are designed for casual listening in a loud urban environment. In this age of globalization of the economy, all this “real German” (or Japanese, Dutch, and so on) brands are used to assemble their factories in China and southeast Asia. Only a few keep production in their country, and the German Maestro is one of them. In general, GMP435S are low-impedance, full-size open-back headphones with reliable design and neutral sound for all fans of monitor feed. The headphones are made of the simplest, albeit practical ABS plastic, there’s no metal or wood in the design at all, so the model definitely doesn’t suit those who prefer the “luxurious look”. Despite the plastic build, GM managed to achieve very good practicality and durability, because the headphones are able to take various household hardships, like falling from the table or stepping on the cord. In addition, the headphones are easily disassembled, and all details are available in the manual, so even post-warranty maintenance shouldn’t be a problem. Another plus of this model is comfort. The headband is properly clamped and its size can be adjusted. In addition, the cups use a proprietary suspension on elastic bands, so they can be moved easily until the optimum position is found. 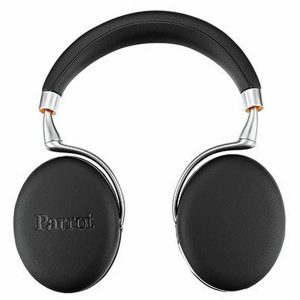 The ear pads are made from high-quality leather and weight only about 240 grams, so in conclusion, these are very comfortable headphones created for long, relaxing sessions of music listening. Talking about audio quality, the GMP435S give a very detailed, slightly light sound without distortions of the frequency response. All this makes their sound monitor focused on the micro-contrast and the disclosure of small nuances. The bass is quite dynamic and deep enough, without the emphasis on mid-bass which seems to be the case with many other headphones of the same type. On the other hand, the lows are slightly weaker, and they lack the density and strength of impact for music genres that rely on the amount of bass. Nevertheless, the medium frequencies are detailed and clear. They’re good at playing out the small nuances of recording and take great care of the sound engineer’s work. The sound-stage effect gives a wide sound, though not that deep, and the nature of recorded instruments is carefully preserved, with their volume and location being accurately reproduced. German Maestro confidently and reliably continue to promote their vision. The history of the brand shows it clearly – their headphones are very popular with connoisseurs of neutral sound and monitor feeds, and have been in stable demand for many years. If you like complex sound and want to have a professional approach to music, but you’re not ready to pay $1000 for monitor headphones – be sure to check out the GMP435S and you won’t be disappointed. 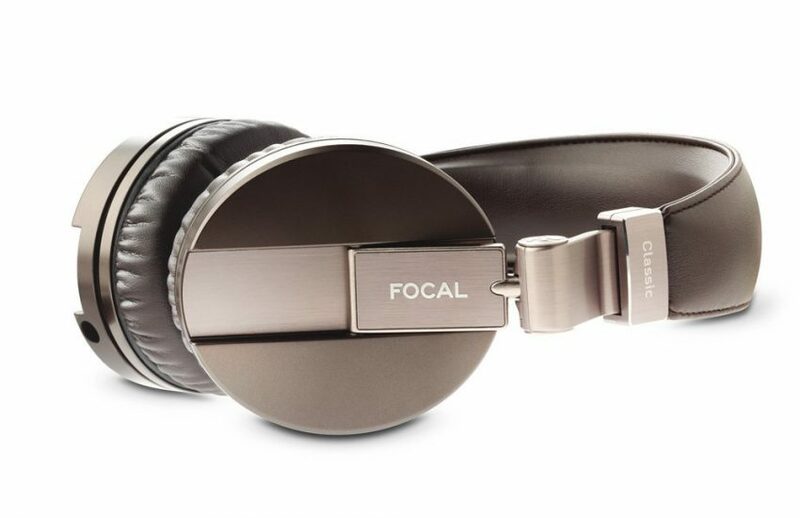 French company Focal has introduced their new headphones Spirit Classic, which are focused on mobility and comfort. 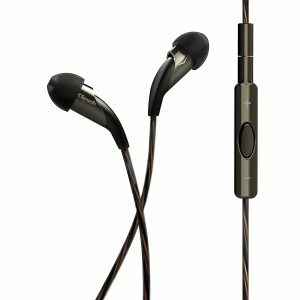 They came out after a cheaper version called Spirit One, a quite successful company’s debut in the headphones market that even received the EISA award in 2012. Both models are similar in design, but Spirit Classic are slightly larger, more comfortable to wear and, of course, they’re tuned for better sound reproduction. These are no longer the usual portable headphones, but a Hi-Fi model available in a single chocolate brown-bronze version. All details are harmoniously combined, starting from headband and cups padded with natural leather, to plastic and metal parts anodized with bronze. The structure is built of aluminum and plastic, and the cups are fixed to the ball joints, which allow them to fold inwards and slightly rotate horizontally. A vertical rotation at a small angle is provided by a hinge mounted directly on the cup. The ear cups don’t cover the ear completely, but for greater comfort they’re made of foam with memory effect. The cord is connected to the left cup with the recessed mini jack connector without additional fixation. The microphone and the button for receiving calls are placed on the cord. To use headphones at home, they come with a 4 m long cord that can also come in handy. An extra long cord, a soft suede handbag and folding feature determine the “hybrid” essence of the Spirit Classic. The first time we used these headphones, we realized that a lot of attention has been given to the richness of sound. Each instrument is presented with high accuracy, making the sound saturated and juicy. The upper register is very clean and present in an even proportion with other frequencies, providing a detailed sound-stage feeling, thanks to the amazing atmosphere. The bass is clearly focused, tamper-rich and legible up to the lowest frequencies; it doesn’t bulge or disappear, it’s actually always present. The feed dynamics are also very smooth, giving accent to the music at any volume and frequency. Basically, the Spirit Classic audio quality is extraordinary. Even the most intense songs sound detailed and crisp. Whether it’s a stationary audio system or a portable player – these headphones always deliver a great listening experience, so if you care not only for the sound quality of your home audio system, but also the ability to listen to your favorite tunes while taking a walk, the Spirit Classic headphones are the perfect choice. The Zik 3 headphones are some of the most advanced on the market, and you can safely call them the headphones of the future. The company created two really interesting models – Zik 1 and 2 a few years ago, and, apparently, the new model Zik 3 doesn’t really offer anything revolutionary, but it’s definitely an improvement in almost every way. Speaking of design, pretty much everyone will remember these headphones by their “crocodile” leather style. In addition to black model, there are also orange and green headphones. The base of the headphones is metal, but they’re still quite flexible and can be adjusted to fit different head sizes. Beyond doubt, the build quality is excellent. What has changed compared to the first Zik model? The Zik 3 are slightly smaller (their weight is 269 grams), the software is more stable, the program for smart phones / tablets is rewritten, and the Bluetooth connection is now 3.1. There’s also NFC connection available, among the usual Bluetooth profiles, and this allows you to synchronize contacts in your phone book with headphones, which is necessary for the operation of the notification system during an incoming call. On the right side is the microUSB connector for charging or flashing the device, and there’s also a 3.5 mm jack. The cables included are simply beautiful, made in the “corporate style”. Wearing the headphones is very convenient and comfortable; the cups are plump and cover the ears completely, while the headband is not too tight. On the right cup there is a touch panel, somewhere in the center is a multifunction button which is used to stop or resume playback, and answer the call. The battery life is around 18 hours in the music playback mode, and it’s also very easy to remove it and replace it after a couple of years of use. And what about sound quality? First of all, it’s really worth creating your own preset for each artist or genre, otherwise you’ll be surprised to listen to familiar music in Pop or Club equalizer setting because they’re totally different. The Zik 3 offer excellent sound quality compared to many other wireless headphones: clear sound, deep bass and well-balanced frequencies, but to unlock the full potential of this amazing product you should take some time to customize the presets. The noise reduction also works perfectly, though it’s definitely not the model’s strongest feature; it can cover up a certain amount of noise effectively, but in crowded places and loud environment (like factories, airports and such) it seems to be almost useless. Just like the previous models, the Zik 3 stands proudly among all other wireless headphones on the market. Their design and sound quality will probably satisfy most listeners, and the custom preset settings that can be downloaded and shared are also an appealing feature. If you love portable, stylish and reliable headphones, we strongly advise you to try the Zik 3. It’s unlikely that HiFiMan needs special presentation for fans of high-quality sound, because this company was the pioneer of portable HiFi, proving to everyone that their version of pocket player (well, almost) can play equally well as bigger models on the market. In addition to the legendary HM-series players and RE-series headphones, the company also manufactures a wide range of HE headphones, mostly made using isodynamic technology. This technology, popular among the manufacturers of headphones in the ‘70s of the last century, at a later time gave way to the traditional dynamic radiators. Today, the isodynamics technology is experiencing a revival thanks to the HiFiMan success and popularity. The HE-560 design is very simple: ear cups are round, with a lattice exterior and providing an open acoustic design. They’re made of leather on the outside and velvet inside, a combination that, according to the manufacturer, provides a long, comfortable wearing and excellent sound characteristics. The headband is made in the form of a thin U-shaped metal plate, the cable is replaceable, attached to each cup separately, while a connector combining RCA with threaded fastening is used for connection. 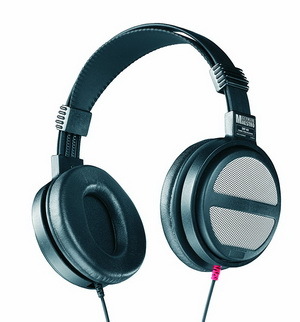 Convenience of wearing the HE-560 headphones is close to the maximum possible for any other type of large headphones. Due to the completely open acoustic design, ears do not overheat, but for the same reason sound isolation is practically non-existent in both directions. Another advantage of the new HiFiMan models is their low weight – 390 grams, so the HE-560 are noticeably smaller than the previous models, which contributes to comfort. The HE-560 give an astonishing amount of details, and together with the overall smoothness of sound it’s obviously the result of great dynamics. The speed of the bass and its texture deserve a praise, because just a few other headphones on the market can match their outstanding ​​frequency response range. Medium frequencies are detailed and sharp, the instruments are well separated, clearly localized and have their own character. This gives the effect of a wide imaginary scene, although its depth is won’t set a new standard. With the HE-560 you can hear everything that musicians and sound engineers wanted to put into the record. The high frequencies are incredibly detailed and give a feeling of lightness and airiness, without being tiring at the same time. These headphones absolutely require a good amplifier and DAC, so if you plan to use them with ordinary smart phones or portable players – forget about it. HiFiMan claim that these headphones can work with simple sources, but 90 dB sensitivity proves the inconsistency of this statement. So, when buying the HiFiMan HE-560, you should also think about the source for it. To sum up, the HE-560 headphones are made for casual listening at home, in a quiet room, relaxing in a cozy armchair. They’re definitely worth their price, so if you want to spend a significant amount of money and in return receive a really high-quality sound – go for the HE-560. While the true reason for the high cost of the X20 – the design and manufacturing technology – is hidden in their tiny housings, Klipsch tried to provide a luxury feel to their latest model and keep the sound quality on the level. The packaging does look luxurious: you get a wooden box with veneer trim, and neat little magnetic latches on the cover. Inside, the ear buds are packed in such a creative and stylish way that you just can’t resist to open the package, but at the same time feel bed about doing so. The exterior of the model is sustained in the firm brown color scheme, and on the ear buds are found small inserts of copper. 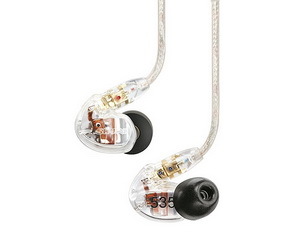 The ear buds stainless steel construction holds a speaker similar to that used in the Klipsch Reference X12i model. Patented Klipsch ear buds are oval in shape and quite soft, but durable. It’s very important to choose the right ones for your ear, because it won’t just have a huge impact on the comfort of wearing them, but also on the tonal balance of sound that reaches your ears. The Klipsch X20i headphones sound very accurate, clear and natural. With a successful landing in the ear canal, they almost completely isolate you from external noise, leaving you alone with music. For example, the famous composition Take Five by Dave Brubeck and his quarter delivers a lot of fun with perfectly balanced and provocative saxophone, whimsical solo percussion and crisp piano chords. All components are very detailed, accurate and at the same time perfectly coordinated. Also, tracks in the “popular” mp3-format will not disappoint either, especially with “less demanding” genres. Popular hits sound briskly and flow naturally without noticeable flaws. But with the Klipsch X20i, a model of such high class, it would be a shame not to go with an ascending portable DAC / headphone amplifier that will further unlock the potential of these amazing ear buds. Needless to say, with the X20i you get great natural sound, which you can enjoy not only at home, but almost anywhere thanks to their sound isolation and powerful output. They look classy, so they can even be worn with formal attire, but also as a style statement. Etymotic, leader and innovator in the field of sound engineering, released the revolutionary in-ear headphones in the early 90’s – The Research ER4. That’s when the company decided to upgrade the model and expand their offer, releasing ER4RB and a special version for travel (ER4PT), but it became widely known thanks to two particular models: ER4P and ER4S. The latter have been recognized, even by picky experts, as the best in-ear headphones in the history, with their almost amazing frequency response and accuracy. Today, all of this applies to the new ER4XR in-ear headphones, but there’s also more. People from Etymotic say that they have eliminated the drawbacks of design on previous models, so now you can listen to the headphones for several hours and not get tired, due to the lower sound pressure with complete isolation. We didn’t use them for too long, but let’s say that none of us had any problems after at least 3-4 hours of listening to music. Of course, this is totally individual, but the ER4XR seem to be quite comfortable. The ER4XR (Extended Response) headphones have a resistance of 45 ohms and sensitivity of 98 dB. For comparison, the old ER4P and ER4S had a resistance of 27 ohms and 100 ohms, and sensitivity was 102 dB and 90 dB, which means that the manufacturer chose the average values for all models. At the same time, a new radiator was made for the new models, and according to the sound quality, the ER4XR headphones are different with more bass and and louder low frequencies. Coupled with Astell & Kern AK 70, the ER4XR proved to be very good, although they can be used with any other budget player. If you place the ear buds as deep as possible in your ear, you’ll achieve an excellent noise isolation, so that you will literally fell alone with the music. In the subway, or even if you’re surrounded by construction workers with jackhammers- the situation is unlikely to change. The filling of low frequencies is carried out by a smooth transition, and not just a normal rise in the lower levels. The frequency response has some distortion here and there, but in order to easily recognize them – one must have a really sharp ear. So yes, we definitely feel that all frequencies are very well-balanced and exceptionally accurate. Furthermore, the ER4XR packaging has everything you need: a few pairs of silicone three-lobe earlips of various sizes, a set of foam earlips, two pairs of replaceable acoustic filters with a tool to replace them, an adapter with 3.5 mm by 6.3 mm, as well as a small clip for fixing the cable to the clothes. Now, that’s what every audiophile likes to see when the box arrives! 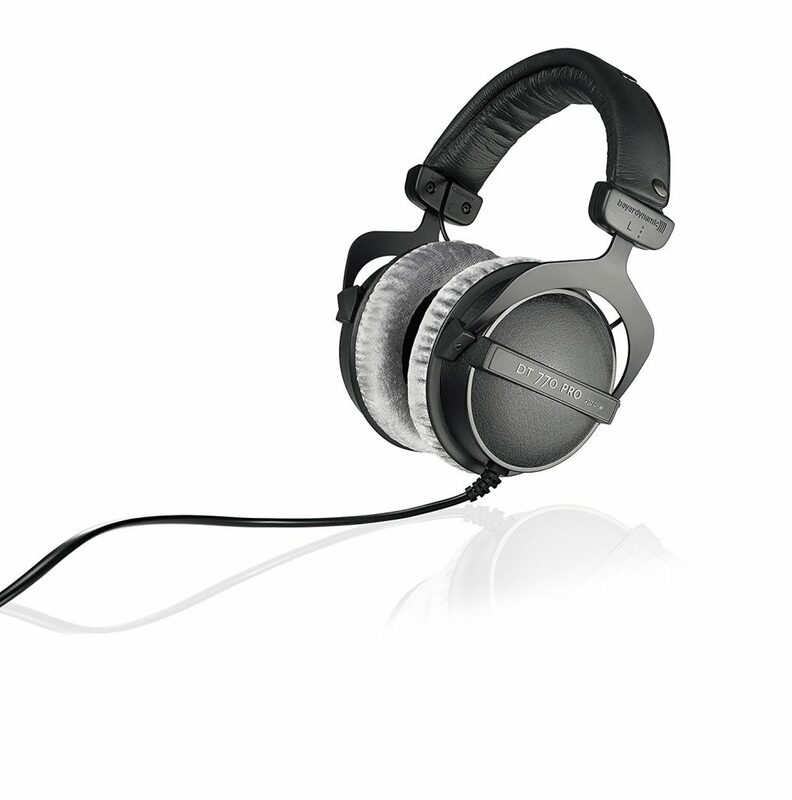 Pioneer brings professional headphones of the new generation to the market – HDJ-2000MK2. This monitor headphones with optimized sound, improved sound isolation, maximum comfort and durability, have all the qualities and characteristics so sought-after among professionals. They have been the most popular product among professional DJs for more than six years, due to their accurate sound from deep bass to bright highs. The new model HDJ-2000MK2 is developed on the basis of reviews and suggestions of famous DJs, which have been active users of previous Pioneer headphones. The model’s main improvement are the small air volume chambers and hermetic seams, which makes it possible to achieve the clean sound required for monitoring even in noisy clubs. 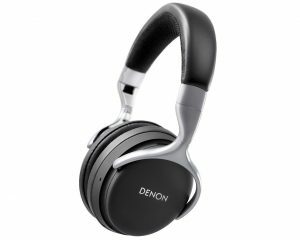 The headphones are available in black and silver color, they retained the classic appearance of the previous generation, as well as a solid, reliable design. Comfort is guaranteed even during the marathon DJ sets, because the ear pads are made of urethane foam with a memory effect, along with a synthetic leather. Weightless customized headband and rotating cups allow working in different monitoring styles. The HDJ-2000MK2 come with a nice hard case for transport and two detachable cords – 1.6 m coiled and 1.2 m straight, as well as a 6.3 mm jack adapter. All this makes them compact and durable, which is so necessary for professional DJs. Each cup rotates 90 degrees to adapt to different monitoring styles, and auto-return function makes them an ideal accessory for DJs who prefer to monitor from the shoulder. Monitoring one ear becomes a trifling task thanks to a flexible headband. The lock mechanism stores the selected position of the headphones during monitoring. The headband is made of thin and light alloy based on magnesium, which allows to reduce pressure on the head. The ear pads are made of urethane foam of low elasticity and trimmed with soft synthetic leather to provide comfort and high sound quality. And speaking of sound quality, the HDJ-2000MK2 are obviously designed for EDM , house and similar genres. The aperture of 50 mm drivers has a thickness of 38 microns, providing maximum detail of sound and reliable reproduction in a wide frequency range: from 5 Hz to 30,000 Hz. Thanks to the firmly fitted parts and the overload capacity at the input of 3,500 mW, there’s no distortion even at the highest volume. The headphone structure, in conjunction with the damping design of ear pads and hermetic seams, provides quality monitoring even in very loud places, without having to pump up the volume to the maximum. Despite the fact that the HDJ-2000MK2 were initially made for dance music DJ’s, we must admit that they still turned out to be universal; DJ’s will appreciate their flexibility and loudness, while fans of portable music players and such will be more than satisfied with their sensitivity and comfortable fit. Sennheiser HD 650 headphones are a high-quality upgrade of the high-end model Sennheiser HD 600, which at the time became the same kind of upgrade for Sennheiser HD 580. These three models have many common features; first of all, for a certain period of time each of them had the position of being the world’s favorite model from Sennheiser. Another interesting point related to the mentioned models is that they’re built on the basis of the same speakers, and in fact, differ only by cables, slightly modified design and acoustics. Like all other open-back headphones, the HD 650 don’t provide any isolation from external noise. They’re quite comfortable to wear, although it’s possible that some users will find their grip on the head a bit too harsh; the pressure of the ear cups is somewhat of a standard for many other Sennheiser models, so we got used to it. Needless to say, the headphones are firmly held in place and don’t easily fall off, even with sudden movements of the head, but after some time the pressure might become irritating. On the other hand, the HD 650 sound absolutely doesn’t bother or irritate – they reproduce music in a somewhat “relaxed” manner, creating a sense of comfort and coziness. The tonal balance is shifted towards low frequencies: bass, or more precisely, mid-bass, is dominant; high frequencies are slightly muffled, and the middles sound naturally, although not as accurate as some of the previous Sennheiser models. 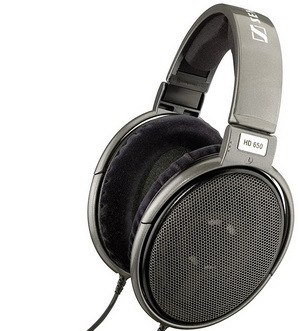 In general, the Sennheiser HD 650 give the listener comfort and enjoyment from their favorite music, and that’s all. They don’t always sound as detailed as we would like, they don’t manage to ensure legible reproduction of compositions with a large number of instruments playing simultaneously, and you certainly won’t hear an abundance of reverberations and other nuances, but you will learn to appreciate their simple and accurate sound, as well as build quality and comfort. For listeners who prefer to listen to music without “digging” in the details of the sound, the Sennheiser HD 650 lack of resolution will likely seem as a minor flaw. They’re definitely not the headphones for fans of classical music, but the HD 650 give an incredible atmosphere either way. And of course, it all comes down to personal preferences, but we think that the HD 650 are excellent headphones for mixing, as much as for casual listening at home. We have long appreciated the convenience and excellent sound of the Shure headphones, and the new monitor model isn’t in any way inferior to its glorious predecessors. The ultra-soft Alcantara ear pads (this is a fabric with a suede effect, usually used for tightening car seats) is enough to cover your ears, and after some time it won’t be easy to part with the headphones; they’re so comfortable and spacious that you can listen to music for hours without the slightest trace of fatigue, until you fall asleep forgetting that you’re wearing them at all. If you remove the ear pads, inside the cups are 40-millimeter speakers with a neodymium magnet. Large oval cups may seem inconvenient for travel, but the design of aluminum alloy and carbon fiber is very light – only 286 grams. The headband is conveniently held in place; it comes with two strips of leather padding, which adapt to the head of any size. A cable with two connectors (one for each cup) is equipped with a 3.5 mm plug for connection to portable devices, and a 6.3 mm adapter with gold plated cover is included for Hi-Fi systems. A hard case for transport is also included, as well as a spare cable and a couple of ear cups in case the original ones wear out completely. Now let’s talk about sound quality. While reproducing dynamic and upbeat compositions, for example Billie Jean by Michael Jackson, the headphones give strength to an unforgettable bass line and accurately track even minimal changes in the rhythmic structure. Their cheerful and very precise sound is always admired; the piano introduction to the song Within by Daft Punk demonstrates the striking smoothness of these headphones and the excellent elaboration of each stroke on the keys. Acoustic instrumental accompaniment is also reproduced purely and texturally, which means that the headphones outstanding dynamic drivers are responsible for their sophisticated sound. It’s easy to imagine a similar situation: Shure headphones are so good that you probably won’t need to look for another manufacturer in the market. You will immediately appreciate their dynamics and carefully verified detail. The spacious sound space forms a very pleasant impression, the tonal balance is extremely neutral. If you need an excellent sound in the most comfortable form – be sure to check out the SRH1540 headphones. The SE425-V earphones guarantee exceptional sound, the build materials are of premium quality, and the design is ergonomic with a unique shape used by Shure to prevent them from falling off. Ear buds fit in the ear very softly and easily, and they isolate more than 90% of external noise. From a purely aesthetic point of view, it’s possible to choose the Shure SE425 headphones in silver, gold and even transparent cases that, in addition to looking really cool, make it possible to see the internal components! We’re talking about ear buds that will often be the center of your attention, certainly not because they’re uncomfortable to wear, but rather because it’s hard for them to go unnoticed. Those wishing to make a more careful investment in headphones protection can choose a special edition of the SE425, as they come with a 3.5mm to 6.25mm adapter, a cleaning tool and additional tips and precautions regarding their use. The earphone cord is designed to be positioned behind the head, and although this might come as a surprise for all those who are not used to this method, but the wires are long enough and don’t affect movements. Using latex foam, the headphones will hold the position firmly and their shape will fit perfectly in the ear. The SE425 headphones feature a recognizable Kevlar cable that can be easily customized, and locking the connectors limits the movement and prevents the cable from being overly twisted. 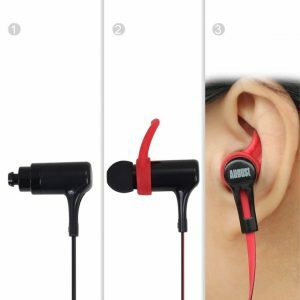 The package includes, in addition to the carrying case, a range of silicone and latex earlips that allow you to customize the ear bud and therefore perfect the fit. Using this type of earphones, sound isolation is really great on the train, bus, or in the street, and no matter what kind of noise you’re surrounded with, nothing will ruin the sound quality even at low volumes. Sound isolation is made possible by specific materials that characterize soft ear buds made from latex foam or silicon, and this allows the listener to stay focused on the music at all times. The SE425 earphones work with dual balanced, high-definition microphones and a woofer in order to deliver extraordinary accurate listening. Finally, thanks to the passive crossover inside them, they keep the low and the high frequencies distinct, so they’re always easily recognizable. The basses are deep and wide, the mediums are clear and powerful, while the highs are very sharp, but never too tingling. The perfect sound and interesting design combined with total wearing comfort make the SE425 worth the price. We always respected Shure and most of their products, so we’ve rightfully decided to put these headphones in our list for being one of the best earphones you can buy under $500. The very name of these wireless headphones with active noise cancellation system – Globe Cruiser – suggests that they’re designed for those who travel far and often. Even if most of us don’t take regular flights around the Earth, we all need compact and lightweight headphones with effective protection against external noise. We tried Denon AH-GC20 noise cancelling headphones and this is our honest opinion: unlike some American manufacturers who portray themselves as significant and stylish as Rolls-Royce, but then continue to ignore the main technical characteristics that we’re interested in, Denon is not that pretentious, although the company tries to impress us with an abundance of features and tips. The design is based on matte surfaces of the headband and cups, titanium and steel gloss of some of the parts of the folding mechanism. All connectors and controls, except the call answer button, are centered on the right cup. The location of buttons is easy to remember: on the right-hand side is the volume, below is the Bluetooth indicator, and a bit lower is the multifunction switch that controls music playback, turns the power on and off and starts the Bluetooth pairing process. On the opposite side of the case is an active noise canceling system switch with a miniature multicolor LED that lights up white when the power is turned on, and also serves as an indicator when charging the battery. The driver diameter is 40 mm, which is definitely the optimal caliber for over-the-ear headphones, even the full-sized ones. According to manufacturer, the battery will allow about 20 hours of wireless connection, but we got 18.5 hours at a high listening volume. In any case, this is more than enough, because hopefully, no one would actually use the headphones for so long, and of course, every smart phone in the market would probably run out of battery first. The AH-GC20 active noise reduction system operates in the lower part of the frequency range – it allows it to effectively eliminate the noise of aircraft engines and significantly reduce the rumble in electric trains and metro. The passive system does a good job protecting against MF and HF noise, too. As a result, external noise is heard only in pauses between tracks. And speaking of sound quality, the AH-GC20 succeeds in small compositions – both jazz and large symphonic orchestras are not as effective as those of more advanced models with a powerful amplifier, but with more energetic genres, like all kinds of rock and electronic music for example, everything is transmitted accurately and with an impressive atmosphere. All frequencies and convincing, although the dynamic contrast and overall balance is a lot better with an attached amplifier. However, the AH-GC20 headphones are a great choice not only for their sound, but also for the way they are made and how good they look. Finally, they’re truly ideal for tourists, business travelers and other globe cruisers, as they’re compact and very well protected against external noise. Like we said earlier, it’s always hard to choose the headphones that would sound and look exactly the way you want, while having remarkable features at the same time. If you’re not sure about what kind of headphones you need even after reading our list, we recommend reading some of the comparative tests online and even asking your friends, in order to find out which models are popular and respected for a reason. But, before you go and make the final decision, we suggest that you pay attention to these words of advice. The choice of headphones is, of course, a purely individual matter and depends on both the reasons and taste of each buyer. If you want to get a really high-quality sound, then you should probably forget about cheap headphones, and buy one of branded products. If you’re a bit confused, or simply don’t want to dig into the numbers, facts and technical features of the parameters of resistance, frequency response, etc. – don’t get upset. Many of these numbers and values are relative, and you’ll have to try a few pairs of headphones before finding what you like anyway. If the main thing you’re worried about is comfort, then you should go for portable models. Earphones are almost invisible, they won’t mess with your hair, and more importantly, they’re lightweight. 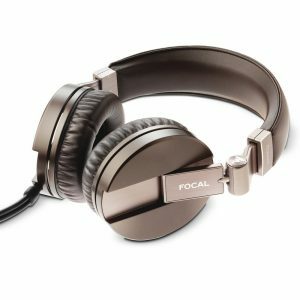 If you’re also looking for good sound quality, you should pay attention to open or closed-back models with a thin rim and adjustable headband. Due to their size, these headphones are known for the presence of low frequencies. There’s a lot of comfortable headphones in our list and all of them are able to reproduce a high quality sound. The average value of the frequency response of good headphones should be 20-20000 Hz. The frequency range directly affects the sound quality, although it’s not the most important criteria when choosing the best headphones; the most important is the low frequency response limit. If you notice a kind of metallic or “hissing” sound at very low or very high frequencies, this is the result of the apparent poor quality of the headphones in the frequency range. The sensitivity affects the volume of the headphones. Ideally, headphones should provide a sensitivity of at least 100 dB, otherwise, the sound may be too quiet when using them with a portable player or smart phone. 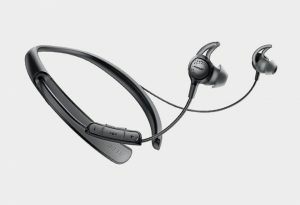 Wired or wireless headphones? Obviously, the wire will restrict your movements; you can not dance or walk around the apartment while listening to music, but they give a much better sound. Wireless headphones, on the contrary, will give you full freedom of movement, but before buying them we advise you to pay attention to the quality of the transmission, the frequency of the channels, the presence of automatic tuning and their weight. Among the drawbacks of wireless headphones is the battery, so ask about battery life before making a decision. 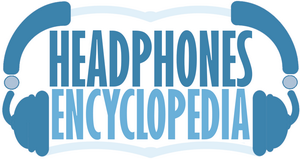 If headphones are to harsh on your ears – use over-the-head or monitor headphones. If you don’t want to have anything on your head or ears for any reason, go for the earphones with a neck strap. Estimate the weight of the headphones. Some headphones, which seem light at first sight, can cause unpleasant sensations after a couple of hours of continuous use. If you’re not a fan of earphones, use headphones with adjustable headband so that you can evenly distribute the weight. Pay attention to what the headphones are made from and how adjustable they are to your head. Look for a volume control on the wire and other similar features that make listening to music more comfortable and practical. The higher the resistance level of headphones, the more powerful the source is for headphones and the less influence the source has on the sound. If, for example, a low-quality music player is connected to headphones with a resistance of 8-16 Ohm, then in addition to the smallest musical nuances, you can still hear the noise of the amplifier, cracking from the internal processes of the player, rustling from switching tabs in the player menu, etc. If you connect large monitor headphones with 250 ohms to a portable source, then the sound will be quiet and flat, the depth of bass and the beauty of the voice and other significant sound details will be lost. The trade-off for a portable device is somewhere around 32-64 ohms. If the resistance in the headphones is more than 100 Ohm, then it makes no sense to use them with portable equipment with direct connection; if the resistance is less than 100 ohms, then the player must have a high quality audio output. Headphones + player combos are often of poor quality. If you really want to enjoy the high-quality sound, it’s better to purchase a pair of headphones separately from the music device. After a while, headphones may start to reproduce crackling sound, noise and other unpleasant effects, or become too uncomfortable for the ears, keep falling off or in any other way start to bother you. If possible, always use the chance to try out the headphones in action before purchasing them. Be cautious about “revolutionary technologies” and “ground-breaking products” which are all over the market. Many of these are nothing but marketing campaigns designed to create “hype” and usually don’t stand a chance compared to some of the products from world renowned manufacturers. On the other hand, some of the renowned manufacturers are also releasing new products which are nothing but slightly upgraded versions of old models. But don’t think too hard about this, just inform yourself as much as you can, try the headphones and then follow your instinct.